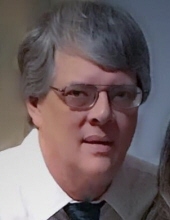 Gregory Brian Haraway, 57, of Hazel Green passed away Friday, March 29, 2019 at his residence. He was a graduate of Butler High School and a member of The Harvest Church. He loved and built racing engines at Huntsville Engine Performance and worked at Intech America/Turner Medical. Visitation will be Sunday, March 31st, 2019 from 1 – 3 p.m. at Rogersville Funeral Home. Funeral service will follow and burial will be in Ingram Thornton Cemetery. Greg was preceded in death by his grandparents, Johnnie B. & Minnie Belle Haraway and Denny C., Sr. and Edith Thornton; mother, Betty Haraway; sister, Norma Haraway Moore. He is survived by his wife, Deborah Haraway; children, Christina England and Dakota (Natasha) Haraway; granddaughter, Sariah Skipworth; father, Arnold D. Haraway; brother, Wesley (Ann) Haraway; niece, Larissa Moore; nephew, Christopher Moore; numerous nieces, nephews, cousins and friends. In lieu of flowers donations may be made to St. Jude Children’s Research Hosptial, www.stjude.org or to the Ingram Thornton Cemetery Fund. To plant a tree in memory of Gregory Brian Haraway, please visit our Tribute Store. "Email Address" would like to share the life celebration of Gregory Brian Haraway. Click on the "link" to go to share a favorite memory or leave a condolence message for the family.